The US Department of Education requires numerous federal reporting and disclosure requirements for information from various administrative areas of higher education institutions. In order to make this information readily available, we have created this email which is designed to provide quick access to this data. Whether you are a new or returning student, the staff and faculty at MCC are here to assist you throughout the semester. Your awareness of the policies, processes and resources on campus will help you have a successful experience. Below are resources that may be of particular interest and usefulness to you. Please review this information and feel free to contact the appropriate department for additional information. Information about the academic environment, requirements and policies at MCC. Information about Alcohol and other Drug Policies at MCC. Will help ensure rapid and reliable mass communication to students, faculty, and staff. The MCC ALERT system is designed to communicate with cell phones (text and voice messages), landlines, and email systems, should a weather closure/delay, emergency situation or crisis occur on the MCC campus. Information about the MCC Bookstore including textbook pricing, refunds, and buy back. Forms and information regarding tuition and payment policies. Information on the Annual Safety Report, campus security and related topics. Information about the Disabilities Policy and the procedure for accessing disabilities support services at MCC. In compliance with FERPA, it is the policy of the college to protect the educational/academic records of its students, former students and alumni. All personally identifiable information in a student's education record is considered confidential. Under FERPA guidelines, the college will not generally disclose personally identifiable information from an eligible student's education records to a third party unless the eligible student has provided written consent. In order to give written consent, an "Authorization for Release of Records" form will need to be filled out. A copy of the form can be found in the Registrar's Office. Routine inquiries require the "Authorization for Release of Records" form. There are a number of exceptions to FERPA's prohibition against non-consensual disclosure. Listed below is information regarding some of these exceptions where the college may disclose personally identifiable information without the consent of the student. 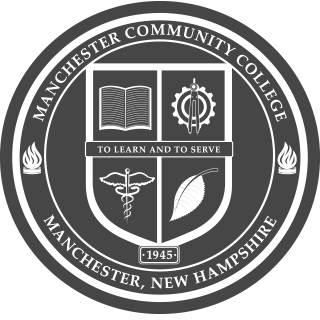 Between MCC and other schools and colleges in which the eligible student seeks or intends to enroll. MCC will make a reasonable attempt to notify the student in advance of making the disclosure, unless the student has initiated the disclosure. When the disclosure is connected to financial aid for which the student has applied or which the student has received, if the information is necessary for such purposes as to: determine the eligibility for the aid; and/or enforce the terms and conditions of the aid. When the disclosure is to the parents of a “dependent student”. Generally, if either parent has claimed the student as a dependent on the parent’s most recent year’s income tax statement, the college may disclose the educational records to the parents. In connection with a health or safety emergency of the student, the college may disclose information to appropriate parties including parents. If the student is under 21 years of age and is found in violation of any Federal, State, or local law, or of any rule or policy of the institution, governing the use or possession of alcohol or a controlled substance, the college may disclose information to the parents of the student. Authorized federal and state officers as identified in Section 438. (b)(3) of Public Law 93-380. The Registrar, Associate Vice Presidents, Vice Presidents and the President are the only college officials who may release FERPA records and information without eligible student consent. Process and forms for financial assistance, scholarship information, and frequently asked questions about financial aid at MCC. Helpful links to academic information, student services, activities, and online support. A comprehensive guide for academic and student policies and procedures, and a resource for various services and activities available to the campus community. Call 206-8000 if you have questions about these areas or any other issues.